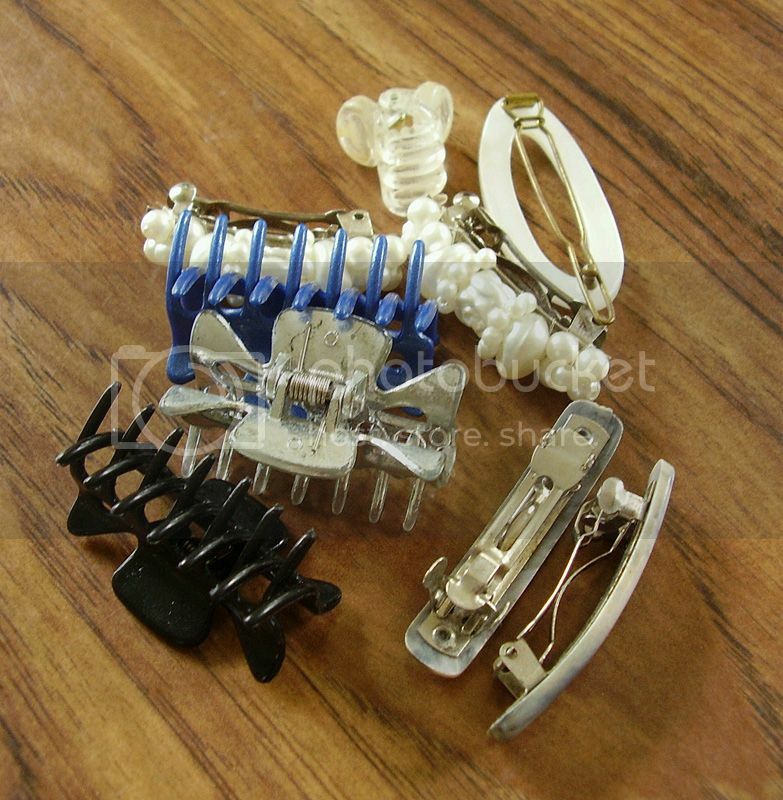 May 13: Nine hair clips. 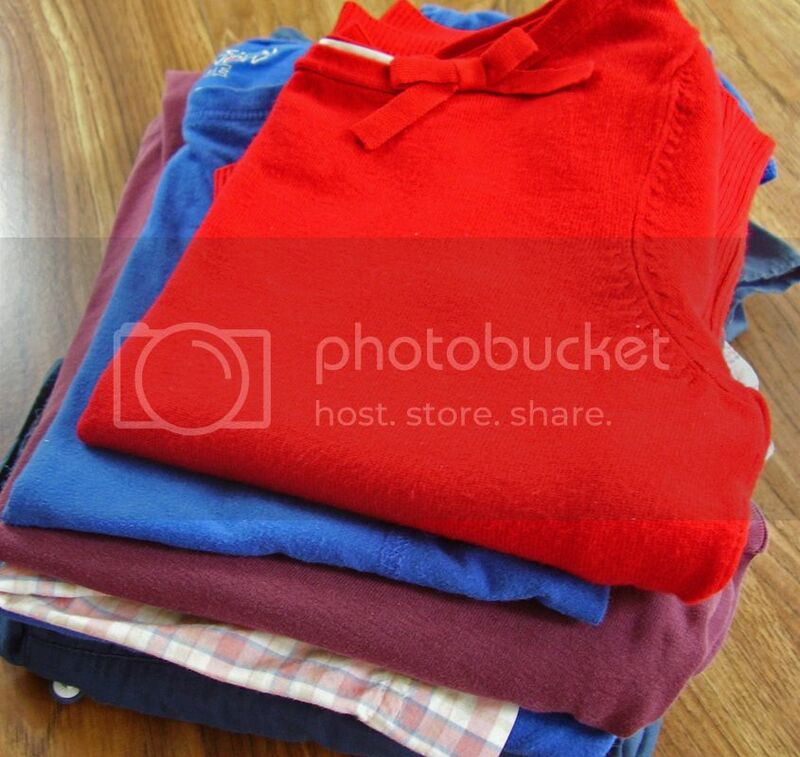 May 14: Getting rid of my own clothing is very, very hard for me. I must admit that some things went into this pile only to be taken out a few minutes later. That might explain why I found a 10 (maybe 12?) year old pair of skorts that have been worn maybe once. I just knew in the last 10 or so years that I would need them. Do people even wear those anymore? I'm definitely not a fashion expert, but I'm pretty sure my pink, white and purple plaid ones were a little out of style. I also found 1 sweater and 4 shirts and I decided it was time to get rid of an old pair of black shoes (not pictured) since I had 4 others (2 summer and 2 winter). Black goes with everything doesn't it? 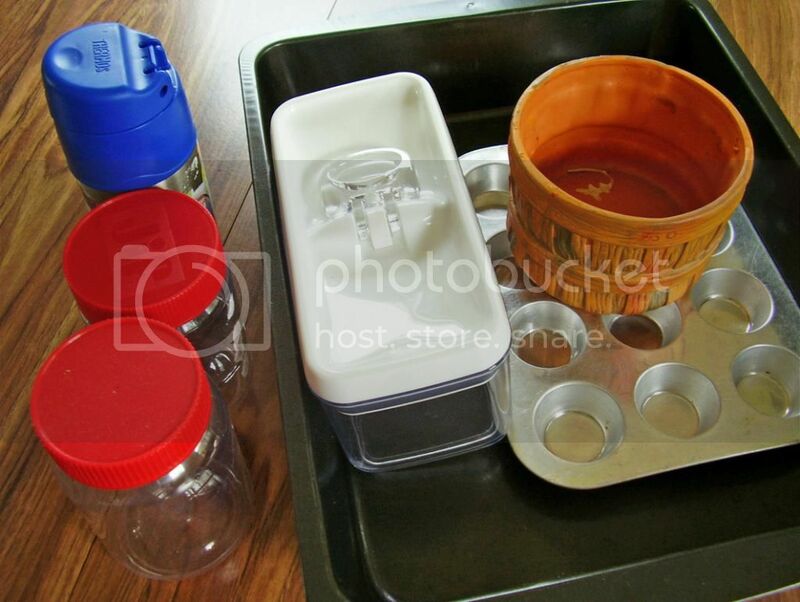 May 15: A few more things from the kitchen: 2 old Jif jars, a thermos with no straw, a pan, an old muffin pan, a storage container and a ceramic halloween/thanksgiving basket. May 16: Our youngest son doesn't like wearing overalls. He calls them "bib pants" and informed me that he isn't a baby anymore and is too old to wear them. After helping him at least a half dozen times to readjust them, they went in the clutter-busting pile. 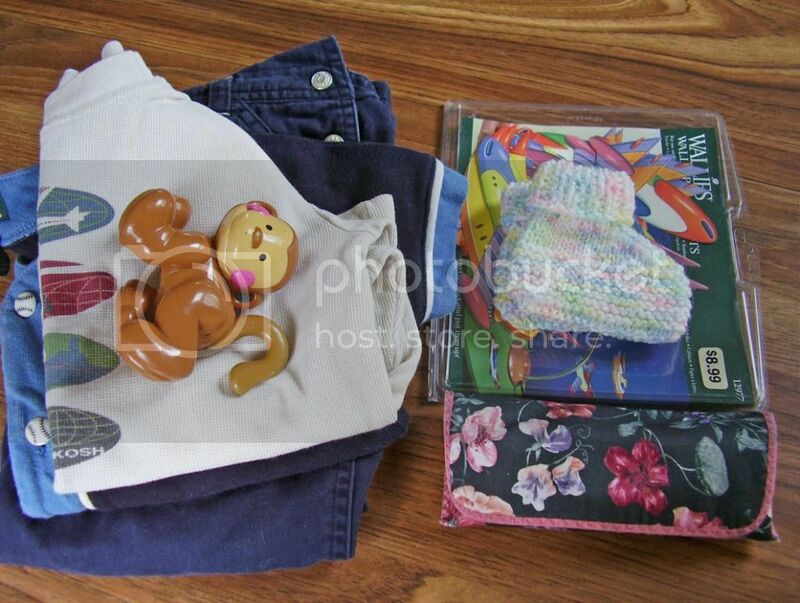 I also found 2 shirts, a toy, a pair of baby booties, an eyeglass case, and Wallies wallpaper shapes. 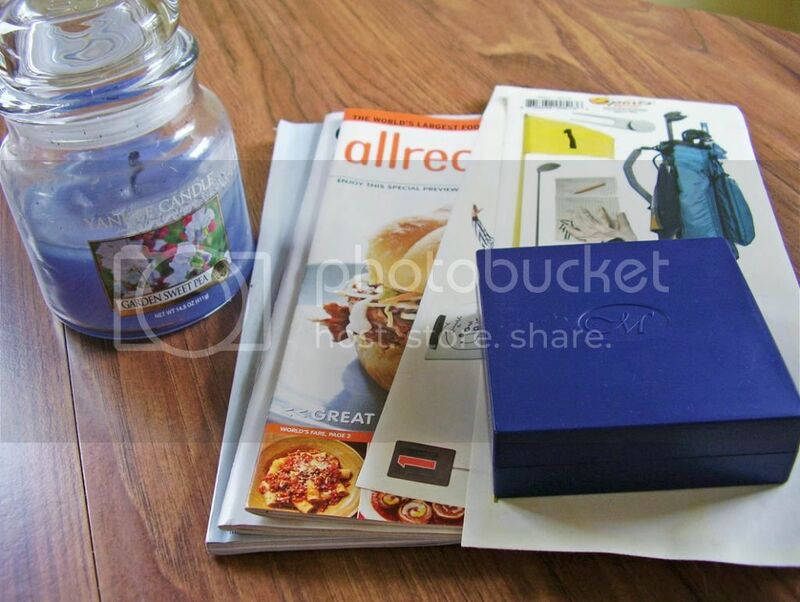 May 17: I found some odds and ends: 1 candle, 3 magazines, 2 sheets of stickers and an empty box.